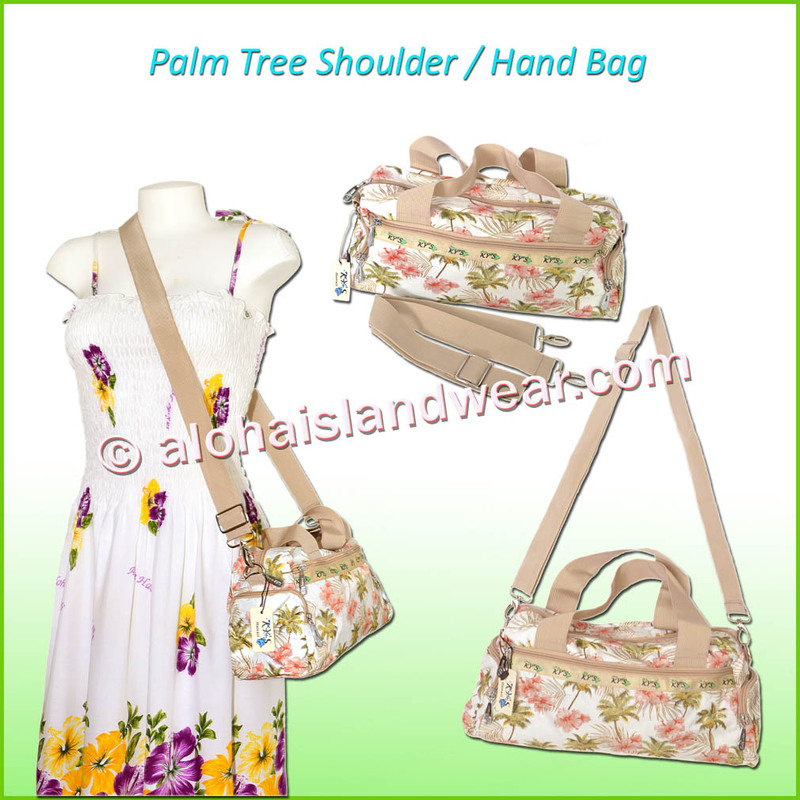 This lightweight palm tree design shoulder/hand carry bag features a double layers with white linen inside, there is one main compartment with zipper and one front zip pocket, two small zip pockets on both side of the bag, the main compartment has an internal zip pocket (great for holding your valuable items) and two small open pockets on the opposite side, two nylon beige handle straps for hand carry, an attachable and adjustable beige nylon strap use as cross-body shoulder bag. 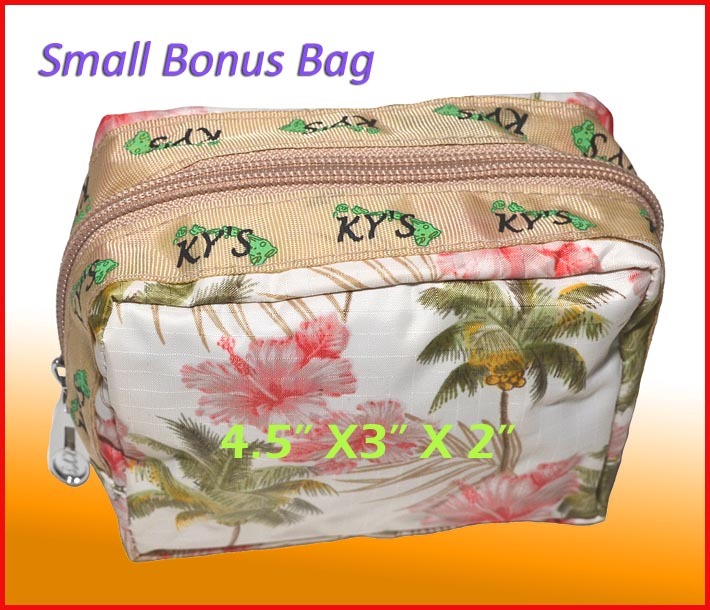 Great bag for hand carry your personal items, shopping, work, travel or as a gift to someone. 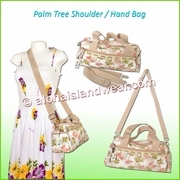 This hand/shoulder bag comes with a small bonus bag for free. External front zip pocket: 5" X 11"
External side pockets: (two) 4" X 4"
Internal Zip pocket: 6" X 4.5"